June 10, 2011 Daily Photo. 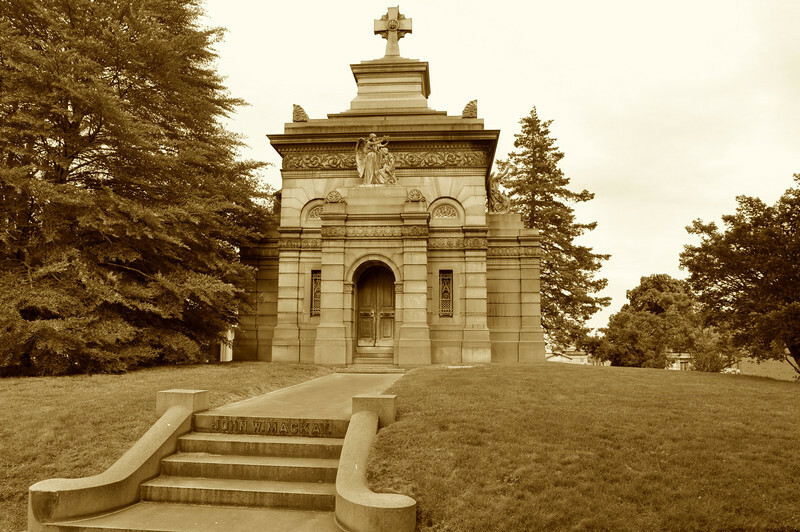 One of the more elaborate Mausoleums at Green-Wood. John W. Mackay was one of the richest Americans of his day having made a huge fortune in Nevada silver mines and laying transatlantic cables. He died in 1902. The Mausoleum is heated and apparently has electricity. The sepia works so well with this lovely structure! Fabulous processing of this amazing mausoleum. Wow, super info, capture, textures and treatment. Wonderful treatment and nice capture!